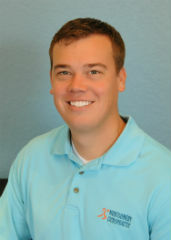 Dr. Micah earned a Bachelor of Science majoring in Exercise Studies in 2008 from John Brown University in Siloam Springs, Arkansas. He continued his education at Parker University College in Dallas, Texas where he earned a second and third Bachelors Degree in 2012; this time earning a Bachelor of Science degree in Anatomy and in Health and Wellness. Dr. Micah received his Doctorate of Chiropractic degree also from Parker University College in Dallas, Texas (2012). He is also full body certified in Active Release Technique. Dr. Micah is certified in Rock Taping for Fascial Movement Treatment.